Window heat gain during the cooling months makes your HVAC system work harder, which means more wear and higher energy bills. Looking on the bright side, windows present an excellent opportunity to boost energy efficiency when it’s time to spruce up your Orlando home’s aesthetic appeal inside or outside in the form of window treatments. When it comes to the efficiency of your home’s envelope, windows are typically the weak link. In fact, windows are notorious for allowing heat gain/loss by solar radiation (sunlight), convection (air leaks), and conduction (air leaks and heat transfer through glass). Following are practical ideas and options for window treatments that improve your home’s efficiency and curb appeal. Awnings: A favorite for many Orlando homeowners, you’ll have it made in the shade by installing awnings on sun-struck windows. Awnings are perhaps the most effective exterior window treatment you can use, and they add a new and unique look to your home. Shutters: Modern-day shutters are typically designed for looks — not functionality. However, installing working shutters, either manual or motorized, give you control of heat gain from sunlight and provide window protection during wind-driven storms. Window films: Window films are the least expensive option for exterior window treatments, and you may install films yourself. Solar window screens: Solar window screens are a great option for many homeowners that allow you an outside view while providing privacy. Draperies: Drape yourself in energy savings and elegant interior design with layered drapes. 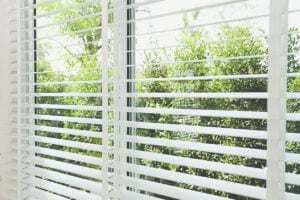 Insulated cellular shades: Pleated insulated cellular shades generally offer the highest R-value (resistance to heat flow) of your interior window treatment options. Window quilts: A snug-fitting window quilt gives your home’s interior a charming lift while providing excellent R-value. Blinds: Available in vertical or horizontal slats, blinds may be adjusted to allow in just the right amount of sunlight to suit your view and energy efficiency goals. 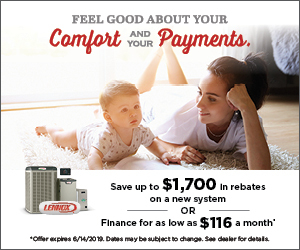 If you have questions about home energy efficiency and making your HVAC system friendlier on your energy budget, contact Central Florida’s energy experts at Rinaldi’s Energy Solutions today!